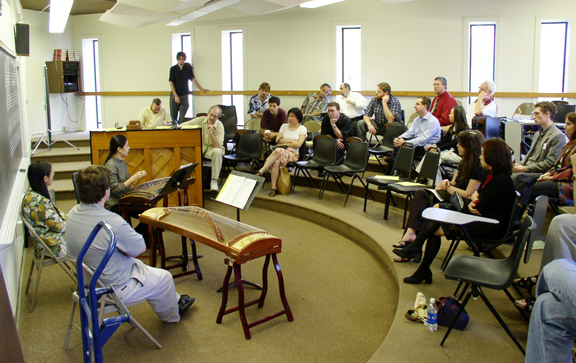 “Echoes of Nature” is dedicated to introduce traditional Chinese art and music to people from different cultures. 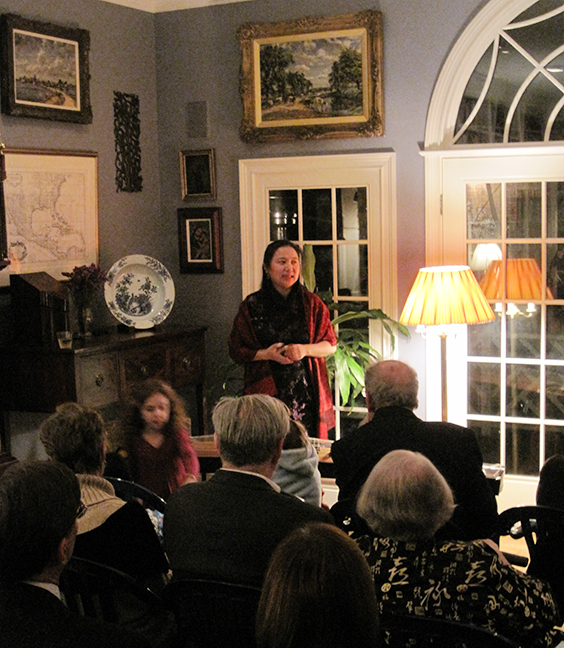 In the past decade, both Dr. Nan Liu and zheng master Haiqiong Deng have given lectures and performances throughout North America for audiences of all ages. 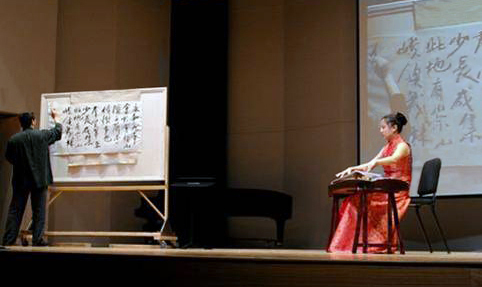 Their lively presentation of traditional music of qin and zheng, Chinese painting, and calligraphy draw audiences closer to the magnificence of traditional Chinese culture and inspire many to continue their research into this culture. In addition, they have conducted very lively cross-cultural explorations in their own realms, including collaborating with American composers on contemporary pieces, creating new sounds inspired by world music cultures, and creating art through different media. “Echoes of Nature” gives concerts, lectures, workshops, master classes, Arts-in-residency at universities, K-12 schools, concert halls, museums, and arts festivals. Detailed information on each topic can be requested from the presenters. Please contact at: haiqiongd@yahoo.com or call 850-264-1389.